Janine has been with Brayton Purcell since 2013. She is active in our asbestos litigation department supervising our discovery department. Prior to joining Brayton Purcell Janine worked for a solo practitioner that handled a variety of cases including estate planning, probate, real estate, personal injury and medical malpractice to name a few. 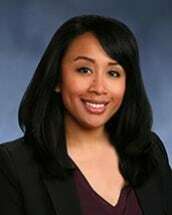 Janine also volunteered in Sacramento, California for VLSP giving advice on a variety of civil legal issues and won the Wiley P. Manuel Pro Bono Legal Services award for her work. During law school Janine interned with Asian Americans for Civil Rights and Equality where she assisted in developing and passing California legislation that benefitted various Asian American communities across the state. During law school Janine was also the recipient of several Witkin’s Awards, including in Torts and Civil Procedure and was the teaching assistant for Evidence. Janine attended University of California, Davis and received degrees in English and Sociology and minored in Asian American Studies. While attending UC Davis, Janine clerked for Asian Americans Advancing Justice in Washington D.C., where she assisted in legal outreach to Vietnamese American victims of Hurricane Katrina and worked with staff attorneys on the renewal of the Voting Rights Act. She was also very active in student organizations, elected a senator of the Associated Students of UC Davis and received several prestigious awards for her on-campus leadership. Janine is a Bay Area native and grew up in San Francisco. Her husband is in the US Air Force. Outside of work Janine loves spending time with her son and husband.